For the past 10 years I would have told you that my favorite books were memoirs and self-development. This year that has changed to historical fiction which are fictional novels where the story takes place in a particular time in history, thus the setting becomes part of the story and all elements about that time must be accurate and thoroughly researched by the author. I end up learning so much about different periods of time and it probably appeals to me because I was a History major in college. All the books below are historical fiction and I've read all of them this year so I highly recommend them! I'm horrible with names, when I meet someone I forget their name 5 seconds later. So when I read books it's even worse, halfway through a book a character will be talking and I'll think "who is that?" lol So if you're like me and find yourself deep into a book and can't keep track of who all the characters are, then a good tip I recently learned is to keep a book journal. As you read, write down all the names as they appear in the book so you can keep your characters straight. 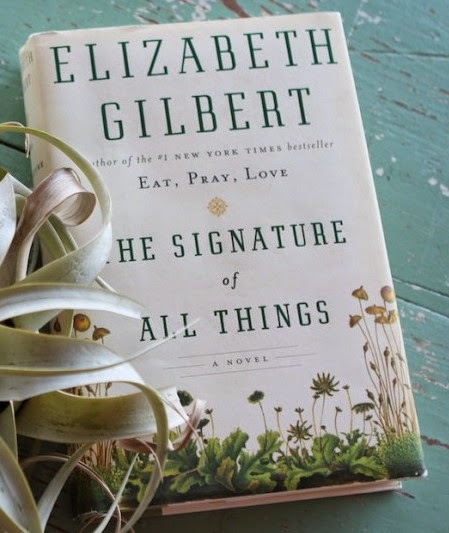 This book was recommended to me by a friend and is written by the same author who wrote Eat, Pray, Love which was my inspiration for traveling to Bali. Spanning much of the eighteenth and nineteenth centuries, the novel follows the fortunes of the extraordinary Whittaker family as led by the enterprising Henry Whittaker—a poor-born Englishman who makes a great fortune in the South American quinine trade, eventually becoming the richest man in Philadelphia. Born in 1800, Henry’s brilliant daughter, Alma (who inherits both her father’s money and his mind), ultimately becomes a botanist of considerable gifts herself. We become enlightened to the nineteenth century world of botany and specifically to the science of mosses. Exquisitely researched and told at a galloping pace, The Signature of All Things soars across the globe—from London to Peru to Philadelphia to Tahiti to Amsterdam, and beyond. I'm in awe of the research that must have gone into its creation, and the story created all kinds of new curiosities to be satisfied by further research such as Tahitian tattoos of the 19th century. The book is part sweeping saga, part textbook, part philosophy. I call it a saga because I'd only be 30% or 50% through the book and think the story was over but could see I had a ton more to read! This saga is a wonderful piece of historical fiction that kept me engaged until the final page with both its creativity and richness. First off is this not the prettiest book cover you've ever seen? From the scroll, to the parrot, to the starlight scene in the beautiful Dutch period dress. This best selling book is set in 17th century Amsterdam, a city of hidden opulence and religious repression. Eighteen-year-old Nella Oortman enters a prosperous, but sham marriage, with the merchant Johannes Brandt to whom she brings her pet parakeet. Her husband presents her with a questionable wedding gift: a cabinet-sized replica of their home, well except one room is missing, and it cost as much as a real house. Miniature houses were all the rage at the time, costing as much as the annual salary of a wealthy merchant. To furnish her gift, Nella engages the services of a miniaturist—an elusive and enigmatic artist whose tiny creations mirror their real-life counterparts in eerie and unexpected ways. This gift helps Nella to pierce the closed world of the Brandt household. But as she uncovers its unusual secrets, she begins to understand—and fear—the escalating dangers that await them all. This was a book I could not put down and finished it in 5 days! When I finished the book I re-watched the movie the Girl with the Pearl Earring staring Scarlett Johansson which is based on a book about the painting by Dutch Painter Johannes Vermeer in the 17th century, so the same time period and location thus it was neat to have a visual to the book. In middle school I had an assignment to make a miniature house for class. Everyone in my class made theirs very simple out of a shoebox, mine was multi-floor and very elaborate with interior design! 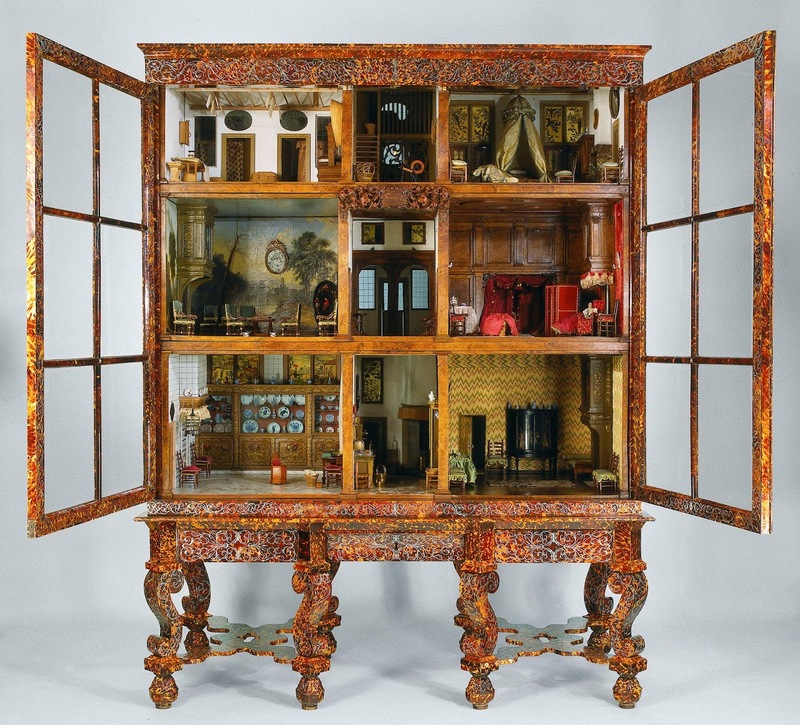 The book is based on the real dollhouse found in the Rijksmuseum which nothing is known about. Another pretty cover, this was a wonderful book that drew me in right from the beginning and is a perfect example of what I love about good historical fiction. Set in Paris in the Belle Epoque, the novel transported me to that time and place with its descriptions of streets, parks, cafés, dressing styles, and architecture. I wanted to read it because Paris is my favorite city and opening the pages of this book I stepped right into Paris 1910. The twist and turns of the book had me reading into the late hours. The book is about a poor English student named Maud Heighton who studies at Lafond's famous Academie to paint. 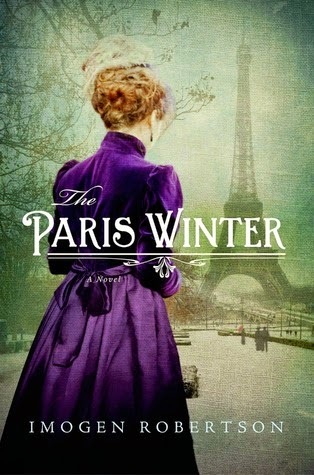 Quietly starving, and dreading another cold Paris winter, she stumbles upon an opportunity when Christian Morel engages her as a live-in companion to his beautiful young sister, Sylvie. Maud is overjoyed by her good fortune. With a clean room, hot meals, and an umbrella to keep her dry, she is able to hold her head high as she strolls the streets of Montmartre. No longer hostage to poverty and hunger, Maud can at last devote herself to her art. But all is not as it seems. Christian and Sylvie, Maud soon discovers, are not quite the darlings they pretend to be. Sylvie has a secret addiction to opium and Christian has an ominous air of intrigue. As this dark and powerful tale progresses, Maud is drawn further into the Morels' world of elegant deception. Their secrets become hers, and soon she is caught in a scheme of betrayal and revenge that will plunge her into the darkness that waits beneath this glittering city of light. This best seller is by a popular thriller writer. 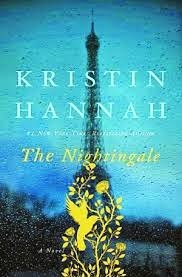 the book tells the story of two French sisters – one in Paris, one in the countryside – during WWII; each is crippled by the death of their beloved mother and cavalier abandonment of their father; each plays a part in the French underground; each finds a way to love and forgive. Hannah has said her inspiration for Isabelle was the real life story of a woman who led downed Allied soldiers on foot over the Pyrenees. The book is narrated by one of the sisters in the present, though you really don’t know until the very end which sister it is. See the rest of my books I've read here. I hear you about forgetting things...I have to google the synopsis of books I've read to remember what they're about. 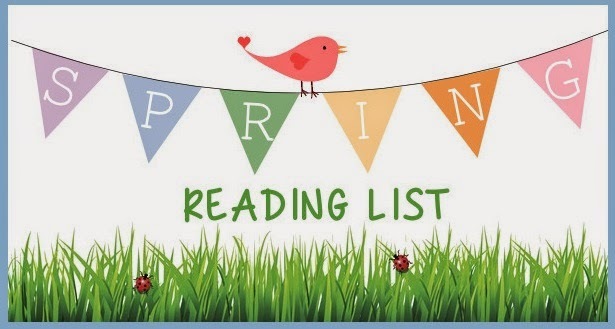 I'm putting all your books in my goodreads to read list. I also love historical fiction, but spent most of that time enjoying the Outlander series which is probably more romance and mystery than historical fiction, but whatever :) Great post. 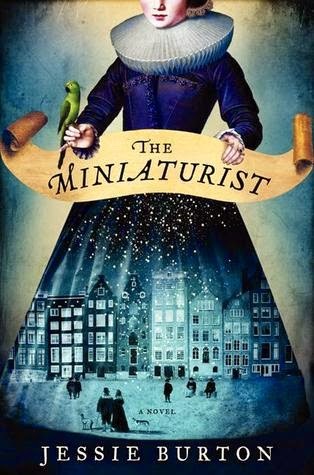 The Miniaturist is on my list of books to read! I love, love, love historical fiction. Thank you for the recommendations. Cute graphic!! I've heard great things about Kristen Hannah!! I'm adding that to my list!! Great picks!! I haven't read any of these. Thanks for the suggestions! I love historical fiction too - will definitely add these to my list!